An engineering polymer solutions provider that continuously invests in research and development, Nylacast offers a full service, from advice and design to manufacturing customised materials and components for specific applications with full traceability. As a world leading manufacturer of engineering polymers, Nylacast materials and components are ideal replacements for traditional engineering materials such as steel, cast iron and bronze. Nylacast’s core values, corporate culture and superior service ensure that its solutions are customised and innovative. The company is also able to custom-formulate materials for specific customer and application needs, providing customers and clients with full engineering polymer solutions. Nylacast materials are often chosen as cost-effective alternatives to metals, due to their low friction coefficient, high-quality bearing and wear properties, resistance to temperature, good strength and chemical resistance. Quality is critical within the production process, and Nylacast operates to rigorous QMS systems: IS0 9001:2008, TS 16949 and ISO 29001:2011 Oil & Gas. 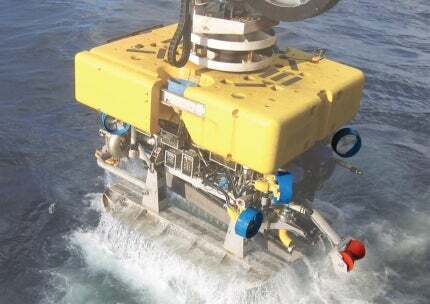 As a worldwide engineering polymer solutions provider with over four decades of experience, Nylacast designs and manufactures a wide range of custom components such as thruster nozzles, ROV components, spacers, pipe clamps and pipe centralisers for precise applications. The company’s level of experience, combined with its ability to produce complex one-off components as well as large-volume orders, has seen Nylacast involved in a number of collaborative projects with blue chip organisations worldwide. Nylacast’s technical and fabrication teams are able to design and build a casting tool to the specific requirements of individual applications and projects. Such custom casts offer improved product performance, complex and unique shapes, closer tolerances, reduced machining time and waste material, as well as the capacity to manufacture small to large product volumes. Nylacast’s ability to produce components to particular specifications brings many advantages to applications in the oil and gas and offshore sectors. Typically one seventh of the weight of steel, engineered components have exceptional resistance to abrasion, wear and corrosion, in addition to chemical resistance. They are the ideal replacement for traditional metals. Due to the harsh environments of these industries, it is also important that Nylacast custom components are ideal for use in salt water, can be produced in high visibility colours, and have a low friction coefficient as self-lubricating materials. Nylacast’s team of highly skilled designers, engineers and chemists provide a wealth of knowledge on materials selection, and employ the latest in CAD / CAM linked technology to ensure the most efficient manufacturing process. The team of highly qualified, industry experienced sales engineers retain close cooperation with the in-house engineers in order to select the most appropriate material. They are on hand to help and advise both existing and potential customers at every stage of their enquiry, from concept to components. In order to decide on the most advantageous Nylacast material, consideration is given to all aspects of the customer’s intended use. The mechanical, thermal, chemical, environmental and electrical demands will be analysed and used to determine the manufacturing tolerances. Samples and prototypes can also be quickly made to test such product needs. The self-lubricating qualities of Nylacast materials mean that Nylacast sheaves work to protect against corrosion, increase the wire rope life, reduce maintenance costs and weight as well as improve the lifting of the application. Nylacast is at the forefront of sheave design, and its sheaves are used in a range of applications across the oil and gas industry, such as launch and recovery sheaves (LARS). Hundreds of thousands of Nylacast pipe-in-pipe spacers (PIPS) are deployed worldwide, actively adding value to thousands of kilometres of pipelines across the globe. Nylacast PIPS are created from a unique grade of polymer, which provides high strength, but more importantly is self-lubricating with a very low friction coefficient. This allows the outer pipe to easily slide over, while eliminating any damage to the pipelines or PIPS or centralisers themselves. The underside of Nylacast PIPS are coated with a unique patented technology material which allows the component to tightly grip the inner pipe with high strength, ensuring it will not slide or move during transport and installation, ultimately keeping the pipeline centralised and protected for the duration of its service life. For more information or to make an enquiry, please contact Nylacast using the details below. Please also keep up to date with the company by connecting on social media platforms. Engineering polymer solutions provider Nylacast prepares to set sail for ONS 2014, located in Stavanger, 25-28 August 2014. Nexen Petroleum's Golden Eagle Area Development (GEAD) project includes development of the Golden Eagle and Peregrine (formerly Pink) fields in blocks 20/1, 20/1N and 14/26a of the North Sea, approximately 110km north-east of Aberdeen, UK. The water depth in the region is between 89m and 139m. Devenick gas field is situated in Blocks 9/29a and 9/24b of the UK Continental Shelf (UKCS) in the central North Sea, in water depths of 116m. Offshore oil field Oselvar is located at about 250km from Stavanger in the south of the Norwegian section of the North Sea. Islay is a gas and condensate field located in the UK waters of the North Sea. It is part of the Greater Alwyn area which contains a number of oil and gas fields. Caesar Tonga is an oil field located approximately 300km from New Orleans in Louisiana, USA. Anadarko Petroleum is the operator of the Caesar Tonga joint development. Gaupe oil and gas field is located in Blocks 6/3 and 15/12 of production licence 292 in the North Sea, Norway. It lies 225km away from the Norwegian coast.